Over the last couple of months, Hillary Clinton has finished a book tour, distanced herself from President Obama and is off to Iowa next month, which is the traditional host of the first presidential nomination contest. What do Democrats say is so significant about her activity is that she talks and walks like a candidate for the White House, effectively freezing other Democrats out who are contemplating running, the more difficult it will become for here to stand up and say no. One Democratic strategist said that the longer this goes on the harder, it will become for her not to run, unless a significant reason rears its head. Another strategist said a no must come far earlier than she needs to give a yes. If the answer is no, the strategist said it will likely come sooner than later. Of course, that means it all comes down to timing. 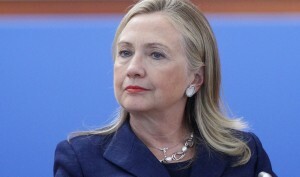 Some of Clinton’s fellow Democrats believe she can go as far as early 2015 before she says no. Other believe it should come prior to or just after the November midterm elections. While every step since leaving the Secretary of State position suggests a run for the White House starting in 2015, there also exist doubts that she may decide not to run. Time is a factor in her decision. It could effectively take up 10 years of her life with two years running for the White House and if she wins a four-year term and if she were to be reelected another four years. Earlier in 2015, a big daily in the U.S. said that two of the closest advisers to Clinton, Maggie Williams and Cheryl Mills were not in favor of her running. However, since that point all of her doings point directly toward a run for the White House. That has kept possible Democratic contenders on the sidelines. Five possible candidates for the Democrats have visited a combined 12 times New Hampshire and Iowa since last year, but none has declared their candidacy.